← We are trying to convert any file type (doc, docx, xls, xlsx, ppt, pptx, jpg, pdf) into HTML format. We are currently using PHP with linux share hosting server. I'm trying to find out if docprint can print black and white from the command line please as I can't find any info on this. OK, I've found now found out I can't get this to work. It seems not matter what I do with quotes, it just gives me the command line options. I can't get it to do anything. 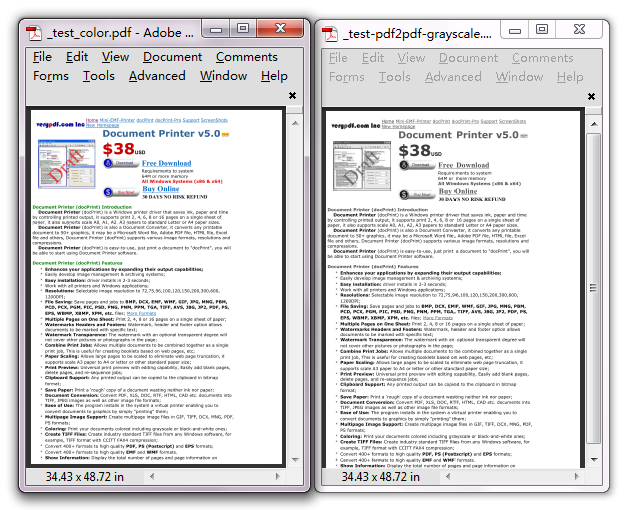 This entry was posted in docPrint Pro and tagged color pdf to grayscale pdf, docPrint. Bookmark the permalink.